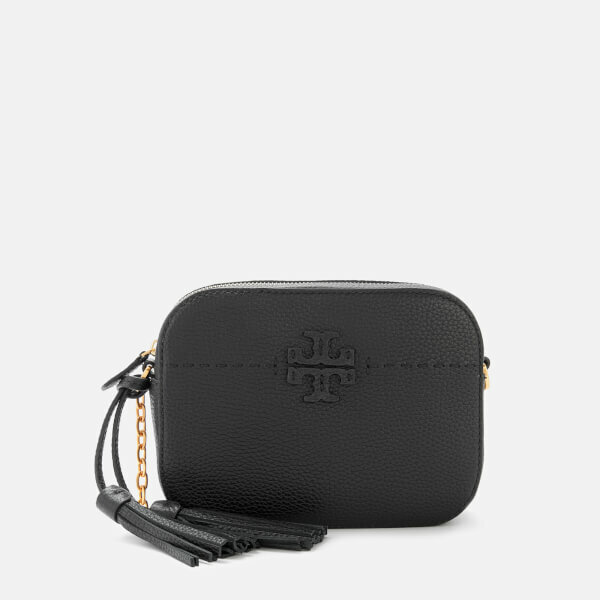 Tory Burch compact camera bag in pebbled leather. 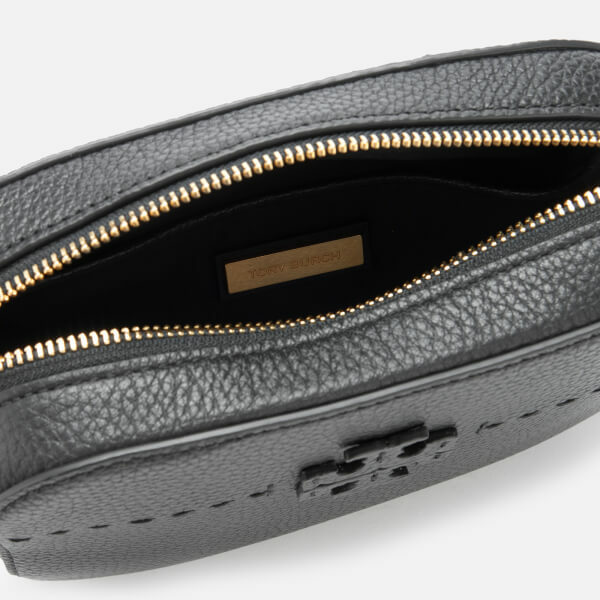 Zip top fastening. Fits all phone sizes up to iPhone XS. 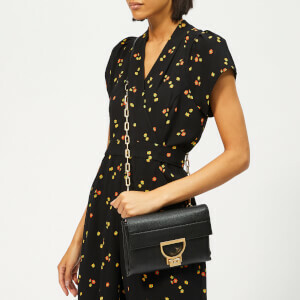 Adjustable leather and chain cross body strap. 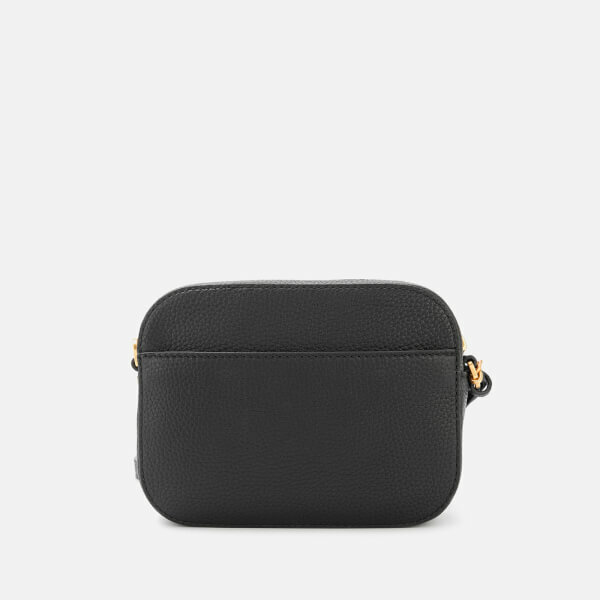 Internal slip pocket. Removable tassel. 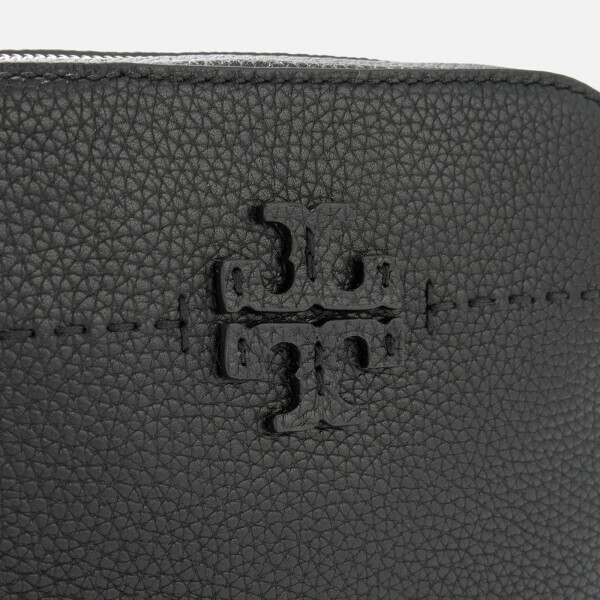 Signature branding on the front. Hand-sewn pick stitching. Dimensions: H: 15cm x W: 20cm x D: 5.5cm. Strap Drop: 56.5cm.